What goes on in your conference rooms can tell you a lot about your company from a process and productivity standpoint. Unfortunately, it’s hard to keep track of these many subtle details that truly add up and paint the broader picture across your entire company. The best and most comprehensive Meeting Management Software and can help you systematically aggregate all your meeting data. 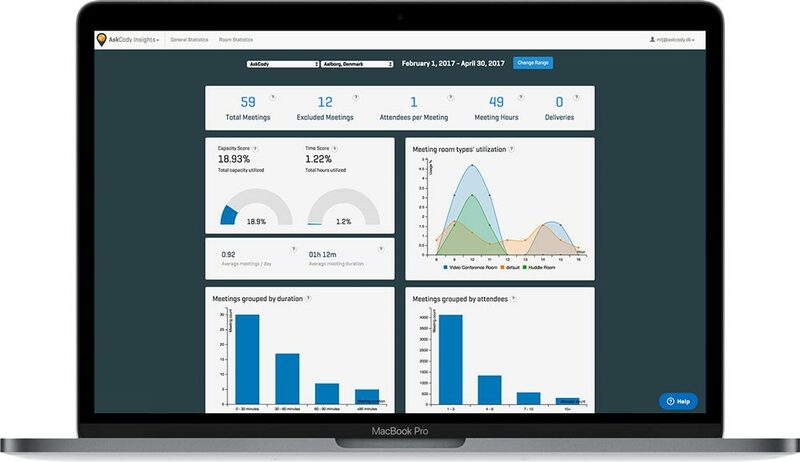 Using a meeting room analytics tools in meeting management software let you track and measure important metrics related to your meetings so that you can go back and analyze and understand them. This information helps you plan for the future of your business and reduce the cost of meetings. That data is critical to understand your consumption of your workplace and utilization or your meeting rooms. If you master your meeting room statistics, you can ultimately improve on your strategies regarding everyday efficiency, utilization of your workspace and future real estate planning. If you are looking for more tips, check out our latest eBook. Occupancy, Time Score, Utilization Rates and preferred "meeting room type." These are important metrics to master. By looking at the occupancy and usage rates of your meeting rooms, you’re able to get a clearer picture of which floor or departments of your business are leveraging their meeting rooms and to what extent. Do we have enough space, or do we have an overcapacity? This information is vital for your real estate planning department to make important decisions about the layout of your office space. This often includes subtle details like how many desks or cubicles to place on a floor compared to how many meeting rooms. By using your meeting data to measure and collect the usage/occupancy rates of your meeting rooms, you’ll soon find out some interesting facts about how your workforce utilizes your space. It's not how you would think! For example, you may find that your sales team prefers traditional, formal meetings in a room that are equipped with tools like presentation screens, projectors, or white boards. Meanwhile, you might find your marketing division prefers more informal meeting environments in open spaces and doesn’t leverage the same room equipment as the sales team. In fact, these relaxed meetings are becoming increasingly popular in today’s office culture, also called activity based working. But does your workplace supports that? And do you have the right amount of these "huddle rooms"? Ultimately, using your scheduling systems and tools to track and measure these metrics allows you to find your company’s sweet spot regarding the ratio between people and conference rooms. There is no perfect benchmark or industry standard here. You have to learn what's the right fit for you to support your work culture and processes. When you don’t know what’s happening in your meeting rooms, you can’t improve the process. Read out eBook and take control of your meeting rooms today. By leveraging your Meeting Management Software to learn your meeting habits, you’ll quickly see how many people are invited to your meetings on average. Have many attend external meetings? How many participated in the weakly roundup? Some statistics suggest that most meetings contain four people or less. However, you might find that certain departments have a consistent need for meetings of a greater number such as 8 or 12 people. Once you have this data on hand, you can go back and reassess the efficiency of your real estate. If for example, you find your meetings contain an average of 4 people but all your meeting rooms are set out for at least eight people, you’ll want to consider making better use of this space, perhaps dividing these rooms into smaller ones. Conference rooms can include a variety of new sensor technologies like IoT or BLE Beacons designed to track the attendance of individual members for companies to get a better idea of meeting room usage in their offices. There are a lot of possibilities to include IoT devices as a data source as well that will improve your insights into meeting patterns as well. Is there a correlation between a number of meetings, which people meet with who, and your productivity score in your company? Other features can include "meeting confirmation" or "claiming a room," which allows you to track whether a meeting took place. Ghost meetings is a productivity killer for all companies. Knowing how many no-shows you have prevented gives you insights into how good (or bad) your team is to attend booked meetings. Having accurate data allows your real estate planning team to make clear, concise decisions about your office space and how the layout is designed. Your scheduling software can help you teach your team valuable lessons about meeting room culture. Meeting room analytics can be associated to an organizer and over time give you valuable insight into the different meeting techniques of your various team members. Therefore you can leverage data to change behavior and culture. 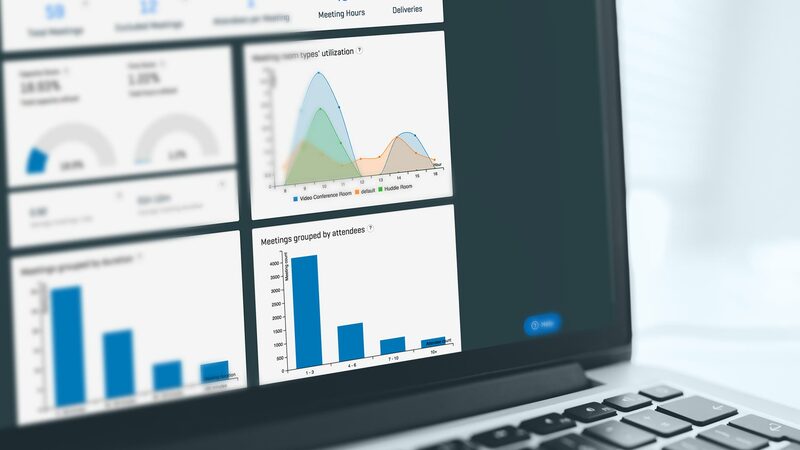 By using meeting management software with built in analytics capabilities, you'll get valuable insight into which team members plan and run meetings efficiently. From there, you can create opportunities to help out those that need it most, ultimately driving up the efficiency of your entire team. For example, you may find that some organizers book rooms that are much larger than what they needed. Based on your analytics, you can reach out to those team members, train them on how such a seemingly trivial issue can have a big effect on the company, and motivate them to improve booking behavior in the future. By talking to your staff based on your data, you can also get to the bottom of why they plan meetings the way they do. You might find that it’s a Facility Management issue and that your smaller rooms or huddle rooms are consistently busy. Alternatively, you might find that it’s because some rooms don’t have the same features as others and lack the right in-room equipment. From there, you can equip your other rooms accordingly to stop this happening in the future. 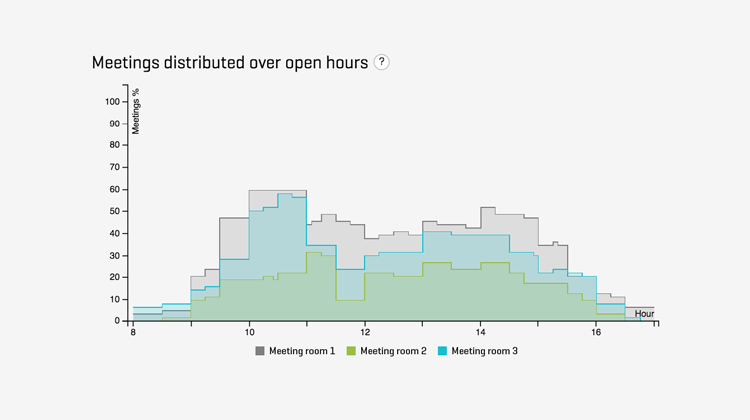 Your meeting room data can also help you track which team members are booking rooms for longer than needed. Are meetings already ended before time? You might learn that your meeting displays lack a cancel option, for example. Thanks to new and comprehensive meeting management solutions, it’s now easier than ever before to track how your meeting rooms are being used and your entire workspace utilized. Whether you’re concerned with real estate or the efficiency of your team, these metrics can help you make informed decisions about your company’s meeting rooms and plan accordingly for the future. Now you don't have to guess when people ask how many meetings you have each month or what your occupancy rates are. These analytics tools are becoming more affordable and accessible as technology and software become more advanced. With cloud-based technologies, the best solutions integrate with your Exchange, Outlook, Office 365 or Google Calendar platform, meaning you have the possibility to "look back in time" and learn how your office space was being used, before the implementation of a new meeting management solution. To find out how to get started with these tools and take back control of your meeting rooms, call us now.